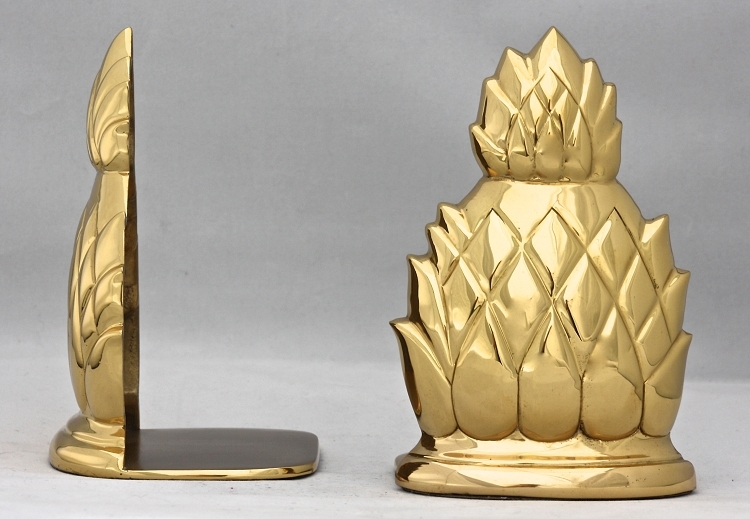 Sold in pairs, these traditional Pineapple Bookends, cast in brass, were a Colonial favorite and are still cherished for their timeless beauty. Lacquered to keep it shining. 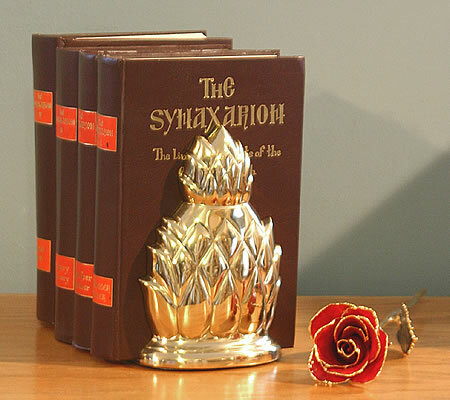 Each bookend measures 6-3/4" high by 4-1/2" wide and weighs 1 pound 11 ounces. The pair weighs 3 pounds 6 ounces. Adds a wonderful touch of elegance to the display and keeping of your precious volumes. A classic look appropriate for any room in your home. The pineapple has served as a symbol of hospitality and welcome since early colonial days.Christopher Columbus was introduced to the pineapple when he and his men landed on the Caribbean island of Guadeloupe. The pineapple was a staple part of native feasts and celebrations.